Home / Blog / What Challenges Does the Defense Face in a Burglary Case? When most people hear the word “burglary”, they think of someone breaking and entering a house to steal something. However, the Nevada statutory definition of burglary is very broad. Sometimes, authorities charge defendants with burglary when the crime committed lacked the intent associated with what the justice system generally regards as burglary. By working with experienced lawyers in Reno, NV, defendants can fight their burglary charges and get the penalties mitigated or the charges dropped altogether. 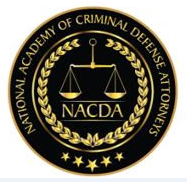 Nevada statutes also describe “inference of burglarious intent,” which means that breaking and entering is reasonably inferred to have criminal intent unless the defense presents satisfactory evidence to the jury that the entry was made without criminal intent. When Reno, NV burglary lawyers defend clients against charges, they often argue a lack of criminal intent. Sentencing for burglary conviction is a Class B felony, and imprisonment can range from one to 10 years. Another defense tactic a burglary attorney might use is to seek lesser charges e.g. petit larceny, where the value of stolen property is less than $250 and the crime is considered a misdemeanor. The Law Office of David R. Houston leverages three decades of legal experience to build strong defenses. Mr. Houston has appeared on nationally renowned television programs, such as CBS 48 Hours and Dateline NBC, where he presented his legal opinions about criminal cases.